Arthur A. Klein, MD, a leader in health care management, serves as President of the Mount Sinai Health Network, as Executive Vice President of Mount Sinai Hospital and Executive Vice President of the Icahn School of Medicine. In this new role, Dr. Klein oversees the Mount Sinai Medical Center’s growing network of more than one hundred clinical relationships, including affiliated hospitals, nursing homes, multiple physician group practices, ambulatory surgery and urgent care facilities throughout New York City, Nassau, Suffolk and Westchester counties. Dr. Klein was the Regional Executive Director of the Western Region which included Lenox Hill Hospital, Manhattan Eye Ear and Throat Institute, Staten Island University Hospital’s North and South Sites, the proposed Center for Comprehensive Care in Lower Manhattan and other potential markets west of the Van Wyck Expressway. Dr. Klein was responsible for administrative oversight of these facilities and coordination of activities in this region to focus on building physician partnerships and looking for new opportunities of growth and investment. Dr. Klein was responsible for the professional services and strategies of the Steven and Alexandra Cohen Children’s Medical Center, the largest children’s hospital in New York State and for the quality and growth of the Children’s Service Line for the North Shore-LIJ Healthcare System. Dr. Klein has had an extensive career in academic medicine and administration. He held the Philip Lanzkowsky Endowed Professorship of Pediatrics at the Hofstra/North Shore-LIJ School of Medicine. He was previously a Professor of Clinical Pediatrics and a Professor of Clinical Public Health at the Weill College of Medicine of Cornell University and served for many years as the Executive Vice Chairman of the Department of Pediatrics at Weill Cornell. He also served for almost 3 years as an Associate Dean at the Warren Alpert School of Medicine of Brown University. Dr. Klein’s administrative career began and was advanced at New York Hospital and then New York Presbyterian Hospital where he eventually served as the Executive Vice President and Chief Operating Officer of the New York Presbyterian Healthcare System. Prior to assuming his current position at the North Shore-LIJ Healthcare System, Dr. Klein served as the Associate Dean for Strategy and Special Projects at the Warren Alpert Medical School of Brown University and as the Chief Physician Officer of Lifespan, the academic hospital system of Rhode Island. Dr. Klein is a fellow of the American Academy of Pediatrics and the American College of Cardiology and has written extensively on pediatric cardiology. 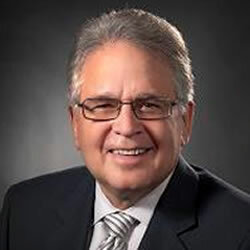 He also serves, or has served, on a number of committees and Boards including the Board of The Sackler School of Medicine/Tel Aviv University, The Committee for Hispanic Children and Families, Inc., as the Chair of the Committee on Health Professions of the American Hospital Association and served a four year tenure on the National Board of the Voluntary Hospital Association of America. A native of New York City, Dr. Klein received his undergraduate degree from the Massachusetts Institute of Technology and his medical degree from the State University of New York Downstate Medical Center.